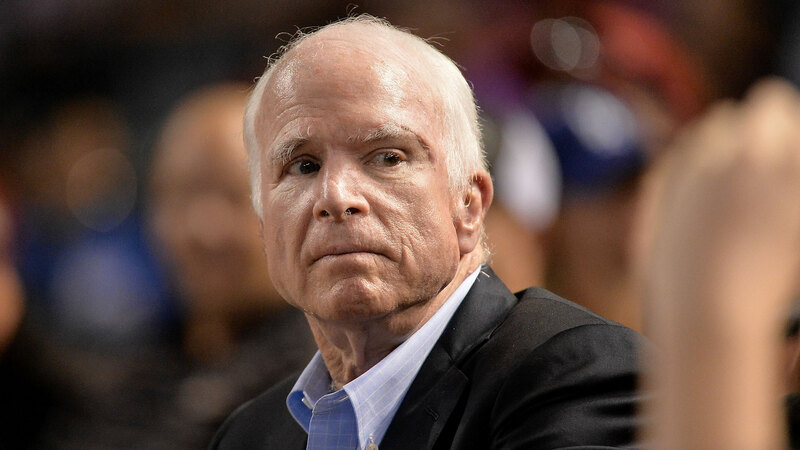 It’s been nearly a year since Sen. John McCain was diagnosed with an aggressive form of brain cancer known as glioblastoma in 2017. Ever the inspiring fighter he is, the politico has done many things in the undoubtedly difficult time since, including keeping to as many political responsibilities as his health permits, and now, promoting his upcoming memoir, The Restless Wave: Good Times, Just Causes, Great Fights, and Other Appreciations. McCain recently read an excerpt from The Restless Wave that is now making the rounds, and it details his thoughts on his own death, the date of which becomes harder to predict. “I don’t know how much longer I’ll be here. Maybe I’ll have another five years. Maybe, with the advances in oncology, they’ll find new treatments for my cancer that will extend my life. Maybe I’ll be gone before you read this. My predicament, is well, rather unpredictable,” the Arizona senator writes in the book according to an excerpt obtained by RadarOnline.com. The memoir, which will be released on May 22, also addresses a few final things McCain hopes to see realized. Among them? Continuing to dialogue with his fellow Americans about important issues at hand. In a sneak peek of the book given to NPR, McCain’s spot-on perspective (and patriotism) shines through. “My fellow Americans, no association ever mattered more to me,” McCain writes. McCain goes on to remind us that, sure, our country can be self-serving. But above and beyond, we are a nation that protects the freedom and liberty of all people. It’s also clear McCain intends to make the most of what time he has left with his family. “Their love for me and mine for them is the last strength I have,” he writes. And it is equally apparent the senator will continue to fight for the best interests of his country.